When it comes to marketing your photography business, trust us when we say that you will need more than a logo. Sure, you may start your photography business with a logo you purchased from Etsy. 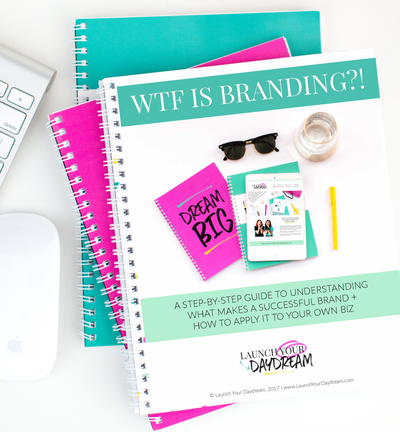 But, as you start to level up and market your business to higher paying clients, you need to make sure you have the branding essentials to scale! A brand in itself is more than just a logo. There are essential pieces that go into a brand that help build that know, like, and trust factor to really hook those dream photography clients to inquiring with you. The aesthetics of your brand can strategically attract and resonate with your dream client, helping you stand out visually from your competition, too! Building your brand with a strong foundation will help will help support any new visual designs that come into it – including your logo! Without that strong brand foundation, though, you’re going to find yourself quickly falling out of love with everything else. If you’re still stuck and trying to figure out why your brand isn’t speaking to your dream, reach out to us and book a brand and website audit! We would love to help you get those dream clients booking you at the prices you deserve! You know how photographers often struggle to fill up their calendars with dream client sessions? Well, we create custom brands and websites that attract + speak to photographers’ unique clients, so they can book dream sessions over and over. join our FACEBOOK GROUP EXCLUSIVE TO PHOTOGRAPHERS! We're the type of gals who love laughing until we cry, giving giant rocking hugs when we see people we love, and designing until our clients are ecstatic. 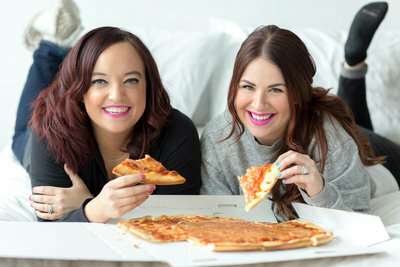 READ ABOUT HOW WE STARTED OUR BIZ BEFORE EVER EVEN MEETING IN PERSON! i want someone to do the design work for me! i need your feedback on my brand first! 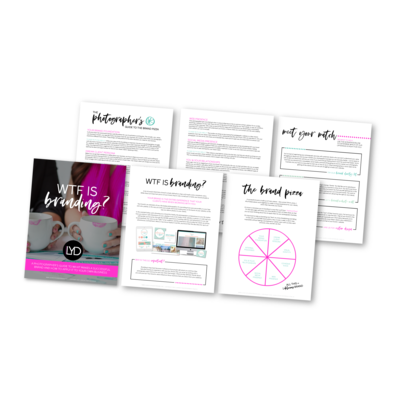 The secret behind booking your dream clients is having a strategic and professional brand in place for your photography business. We're here to help — just let us know which way you prefer to take your brand to the next level!